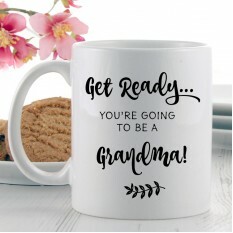 Discover a fun and unique way of announcing your new baby is due soon! 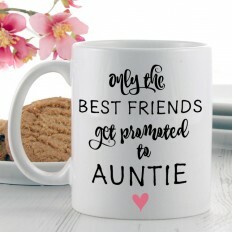 It's a popular trend at the moment, and we're always looking for new and exciting gift ideas for pregnancy announcement gifts. We recently discovered an affordable and thoughtful way was with novelty gift mugs, each exclusively designed in our studios to the highest quality to provide a gorgeous keepsake to send to family and friends! They'll always be reminded of what a wonderful time your pregnancy was and how much they were involved... Get shopping! Announce your pregnancy in style! Here at Smart Gift Solutions, we’ve recently added a few exclusively designed gifts to our website – Pregnancy Announcements! The new pregnancy trend amongst women worldwide is to think of loving ways to announce you’re expecting to close friends and family. 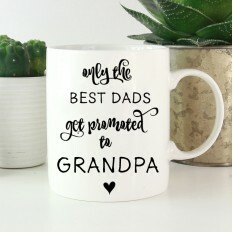 We think it’s wonderful to come up with unique and thoughtful ways of revealing to close relatives and friends they’re soon to become grandparents, aunts and uncles or godparents. 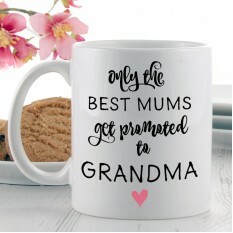 If you delve into our brand new category, you’ll find lots of fantastic designs on how to reveal your news to family members and close friends, all with our stylish and affordable novelty gift mugs! Here at Smart Gift, you can craft your very own personalised gift to send to family members as a brilliant pregnancy announcement. Personalised gifts are always extra special because the recipient will know how much effort and thought you’ve put into this particular occasion, and they make a wonderful keepsake of the occasion too. With a personal reminder, they’ll always know they’re an integral part of your pregnancy. With stylish typography and illustrations, each created and packaged in our studio, they're a sweet gesture to send at an affordable and acceptable price. Each will be presented in a white gift box to ensure it arrives safely and in tip-top condition! To take a look at even more of our personalised gift mugs available on our website, you can visit our Gift Mug section.